In order to be able to understand how great leaps of human achievement come about, it is good to study how they took place in the past. Thomas Kuhn, in his book The Structure of Scientific Revolutions gives an account of how scientific achievement really happens. In it he explains that a breakthrough is part of both the past it came from, and the future it starts, just as a bend in the road serves as the end of one direction and the beginning of another. Only at the bend can you look back and see where the road came from and look ahead to the new direction it will take. Breakthrough ideas are usually not something completely new. They are most often a combination of various information that already exists in the public domain that have been reorganised in a new way. From his studies of scientific history in the work of Copernican, Aristarchus, Kepler, Galileo, Newton, Einstein and many other scientists, Kuhn realised that most of these great men did not come up with a completely new scientific theory. In fact, all of them learnt from those who had gone before them, often rearranging existing information in a new way to form a new set of theories, methods and questions. Most of the time a discovery is made before scientists realise what the discovery is, or have developed a theory to explain it. Their achievement often precedes the development of theory. Kuhn discovered that scientific advance does not come about by a leap of thought to a new theory, but rather from combining specific achievements that lead to a theory which explains them. It’s an act of combination, not imagination. It involves the selective recombination of previous elements into a new whole, as pieces of the past come together to make a new future. This recombination happens as a result of what Kuhn describes as ‘flashes of intuition’ which is different from deliberation, interpretation or thinking hard. The pieces suddenly sort themselves out and come together in a new way in our minds. Scientists have even found that your mind can come up with new problem solving combinations while you sleep. Research conducted in 2003 in Lubeck, Germany by 5 scientists has shown that when working on solving a problem it is often beneficial to relax and take your mind off the task and to let your brain work out the connections between existing information on its own in order to come up with a solution. Scientists have concluded that the elements of the solution will often come together in a new beneficial combination during sleep when you are not conscious of your brain working on the problem. Another interesting finding is that oftentimes scientists start looking for a solution to one problem and come up with a solution to another. Does this mean that we should not work or think hard about any one problem? No, because the mind needs to understand the original problem thoroughly for it to be able to touch all the pieces you need for the answer. You also need to open your mind to consider other pieces from other problems because those will combine for a new solution to a new problem that is often close to the one you were originally trying to solve. This type of strategy and problem solving goes against common wisdom on how great achievements happen, where you first set your goal, and then you work hard to achieve it. That’s not how it really works. Rather a combination of previous elements come together in a flash of insight, providing both the achievement and the goal at the same time – which is the essence of strategic intuition. Modern developments in neuroscience have helped to explain how the process of strategic intuition takes place in the human brain. Eric Kandel won the Nobel Prize in 2000 for his research on a new model of how the brain works, overturning Roger Sperry’s two-sided brain theory of the 1960s-1990s. Today scientists no longer believe that one side of the brain is rational and the other is creative. A new model has put intuition and analysis together in all modes of thought. This new model explains how strategic intuition can be logical and creative at the same time. Strategic intuition is not to be confused with expert intuition. Both processes work in the same way with past memories, knowledge or experience being pulled off the shelves of your brain to be used and combined in a current situation. However, expert intuition refers to an extremely fast process that occurs in the mind of an expert in their field after years of experience, where they can enter a situation and just by looking at the situation recognise familiar signs that indicate to them the best strategy to take. Expert intuition works fast, in familiar situations, and is easier to study as you know when the expert will probably use it. Strategic intuition, on the other hand, draws on experiences and knowledge that the person may not have personally had themselves, but has stored in their memory from others. It is a much slower process that occurs in new situations, and is much more difficult to study as strategic intuition flashes of insight can happen at any time of any day. Expert intuition, like strategic intuition, does not start with a goal and then list and weigh up options to decide how best to reach that goal. Instead each decision comes into the persons mind as a single idea. The age-old analytical model of listing options and weighing them up in order to decide which action to take is incorrect in explaining how real life ideas and decisions are made. Decision making is actually intuitive. Experts do not first set a goal and then try to reach it, they look to recognise which goals are reachable and then go ahead and work on those that are. Experience helps us to recognise the existence of opportunities and once the opportunity is recognised, they go to work on it. Strategic intuition can also be sited clearly in the life and victories of Napoleon Bonaparte in the 1800s. His enemies studied him in order to understand his winning tactics and so began the scholarly study of strategy. Carl von Clausewitz in his 1832 book On War describes the key to Napoleon’s successes as “coup d’oeil” – a French term meaning ‘a strike of the eye’, and the same basic idea as the flash of insight from intelligent memory. Napoleon was known for flashes of insight throughout his life. He had an extensive knowledge of the great military achievements of the past and drew from these for his strategy formulation. Napoleon said that “the principles of warfare are those that guided the great captains whose high deeds history has transmitted to us – Alexander, Hannibal, Caesar, Gustavus Adolphus, Turenne, Eugene of Savoy and Frederick the Great. The history of their 83 campaigns would constitute a complete treatise on the art of war.” Napoleons own winning military ideas combined elements well known at the time – none of which he invented – into a winning formula. They included studying contour maps of the region, the use of the light cannon which could be transported for battle anywhere, and knowledge of every great military conquest in history and how it was won. Due to his study of military history Napoleon had many possible elements to draw from. This unique combination of information from the shelves of his mind, and not only from his own experience, formed his winning military strategy. Examples from history. Strategic intuition draws on the knowledge and experience of all of history far and wide, all stored in the shelves of the mind. Presence of mind refers to a clear mind, clear of all expectations and previous ideas of what you might do or even what your goal is. The flash of insight. In a free mind selected elements from various examples come together in a new combination. Resolution or resolve and determination. You not only need to see what to do but also be ready to do it. The flash of insight carries with it the force of action that propels you forward, but you need the resolve to push on and make your strategy happen. You will note that von Clausewitz 4 main steps in strategy formulation are not that well known in conventional strategic theory today, even though they have been around since 1832. This is because just 6 years after, in 1838, Baron Antoine Jomini’s book Summary of the Art of War came out. Jomini provided the first common handbook for all three fields of military science, including strategy, tactics and logistics. Where von Clausewitz gave us strategic intuition, Jomini gave us strategic planning. From then on the basic steps of figuring out where you are (Point A), then deciding where you want to be (Point B) and then planning to get from A to B became a large part of our strategic planning. These steps are very important for strategic planning, but they do not provide any help on how to come up with Point B in the first place. In von Clausewitz strategic intuition the decisive point arises as part of the picture that comes together in your mind. While great human achievements in the past can be traced back to decisive flashes of insight in the champions mind, our strategic theory today, including the US Army’s formal methods of strategy, are still dominated by Jomini’s steps on how to formulate a path from Point A to Point B. It is here that we see that the manuals on strategy formation need to change in order to encourage rather than contradict strategic intuition. When developing a strategy of action it is important to understand that certain circumstances are beyond your control, they are fixed and immovable. As a strategist you need to come up with a set of thoughts and actions – which are in your control – which fit in with the set of circumstances you have been given. Instead of just pursuing your desire, you will need to find what will work in the situation and go with that. Again Napoleon gives us these glimpses into his state of mind during his conquest years. “I never truly was my own master but was always ruled by circumstances. The greater one is the less will he must have as he depends on events and circumstances. Instead of seeking to control circumstances, I obeyed them. I bent my policies to accord with the unforeseen shape of events.” Napoleon was a master at finding the right actions for the circumstances set before him. He passed up more battles than he fought, looking for only those he could win. He found the strategy that would work in that situation and used that in order to win. Before you are able to come up with the right strategy for your set of circumstances, you need to master presence of mind. Presence of mind is not like examples from history that you can study to know, but rather it requires constant practice so that you expect the unexpected every waking moment. Your mind is always ready. You can never get overconfident and think that you know the answer because the situation seems familiar. This is to rely on expert intuition instead of strategic intuition. We need to work at attaining presence of mind as a permanent state of mind, and not to always be chasing after what we want but rather to see what can be achieved. All failed strategies come from picking the wrong combination of actions for the wrong goal, but success comes from picking the right combination for the right goal. You will only be able to make the right combination for the right goal when you have presence of mind and judge the best actions for the specific circumstances. All these steps can be clearly seen in the modern examples of the technological revolution of the late 1990s and early 2000s. The PC revolution from Microsoft to Google took only 23 years and strategic intuition was pivotal in these great business achievements. They called up the manufacturers MITS and 6 weeks later won the contract to write the software for the new computer, there beginning a monopoly on operating software for mass-market PCs. Over the next 30 years they preserved that monopoly as the PC industry took off and spread to take over the world. The Altair contract was a clear case of strategic intuition in action. 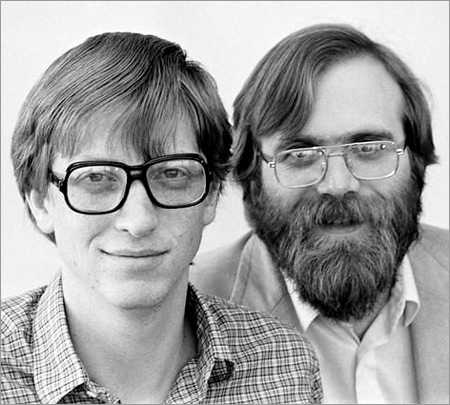 Gates and Allen put together their experience and existing knowledge of the computer industry. Their presence of mind let the new combination come together as a flash of insight that changed their goals in order to establish a software company for microcomputers, which they had not thought of before. Strategic intuition gave Gates his vision which he did not have before seeing the Altair. The flash of insight came before the vision for where it can take you. They had the idea for a software company only on seeing the Altair and the chance to combine existing elements to make such a company happen. Up until the moment they saw the Altair on the magazine cover there was nothing to indicate that Gates and Allen had any different vision or goal from that of thousands of others who understood that computers were getting smaller and cheaper. What was different was the flash in their minds that came after seeing the Altair. Strategic planning did not give them the idea; the idea came through strategic intuition. Once you have the right idea, strategic planning is the next thing to do. The last big leap in the PC revolution was the Internet. Microsoft helped put computers everywhere and the Internet connected them, but Google stands out as the biggest success of the Internet era. Google’s strategic innovation was how to make money from Internet search. Sergey Brin and Larry Page studied at Stanford University in Palo Alto, California, in the heart of the Silicon Valley. Brin worked on a research project in data mining and Page was working on the Digital Libraries Project. One day, while browsing AltaVista for his project, Page saw something unusual in AltaVista itself. In addition to a list of Web sites, AltaVista’s search results included reverse links. Page realised that reverse links could rank Web sites in the same way academic citations rank scholars. This discovery was the first flash of insight that led to Google. From there Page went ahead and mimicked AltaVista’s full-text search by downloading the entire Internet onto Stanford’s computers. Brin then offered another element: data mining algorithms from his work. Over the next year Page and Brin wrote a program that combined these elements. The program used data mining algorithms to search all the reverse links on the Internet and rank these links like academic citations. This is a classic case of strategic intuition as 3 existing examples came together in their minds and a new search engine was born. Page was not studying AltaVista when he stumbled upon the reverse links; instead he was looking up information for his Digital Libraries project. But he showed presence of mind by realising how important this find was and by switching his focus from Digital Libraries to the search engine project with Brin. Page and Brin called their new programme PageRank and at this stage did not even realise it was a search engine. They had inadvertently stumbled upon their Internet breakthrough. Their goal had never been to build a search engine, but when they realised what they had done their presence of mind freed them to switch goals from what they were previously working on, to where their new combination led them. In March 1998 they offered to sell the Google patent to AltaVista for $1-million. AltaVista came back and said no as the people who were running their engineering division were not very open to outside technology. This type of “not invented here” attitude is the opposite of strategic intuition. Instead, strategic intuition has the attitude of “take from everywhere.” If you look only internally for elements to combine, you limit your search dramatically. Page and Brin did not give up and offered Google to other search engines, including Excite and Yahoo, but they were rejected again. In August 1998 Page and Brin got a break when Sun Microsystems invested $100 000 in Google. This was then upped to $1-million when other investors joined the team and in June 1999 two additional venture capital firms invested a further $25-million and Google joined the ranks of hot new Internet start-ups. But the real breakthrough came when they discovered how Google search could make money. Uninspired by the banner advertisements and pop-ups that characterised other sites advertisements, Page and Brin chose to follow the example of Overture in its simple list-like advertisements. Page and Brin did not expect or even want Google’s money to come from advertisements, but their presence of mind left them open to all possibilities, and they then wrote their own version of the Overture programme for advertisements and added it to Google. Overall, Page and Brin did not invent any of the elements that they combined over 4 years in a series of flashes of insight to form Google. But the result was success far greater than the $1-million they originally wanted to sell the company for. The PC revolution started and ended with strategic intuition. Microsoft and Google began as an unexpected combination of examples from history that came together as a series of flashes of insight. This is precisely the mentality that business innovation calls for. You need to realise that new ideas come from old ones. What is needed is not permanent revolution but permanent evolution, where you constantly search for a better combination. We can notice that strategists from the computer revolution followed Porters framework to a great degree, with each having analyzed their industry as a whole and predicted the industry’s future evolution. However, this analysis does not naturally lead to a competitive strategy for a particular business. 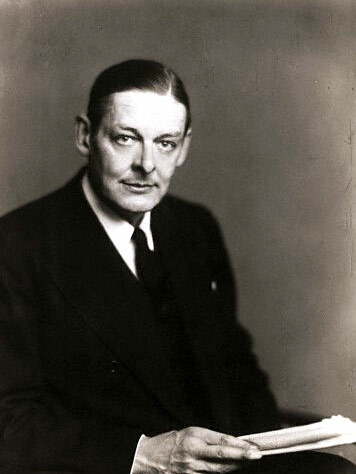 It is here that Porter misses how strategic ideas really arise. The analysis you do gives you a deep understanding of the situation you face in your industry, but it does not give you an idea for what to do about it. Strategic analysis, while important, is not the same as strategic formulation, which occurs through the process of strategic intuition. Additional examples including Alice Paul fighting against women’s suffrage in the early 1900s, Martin Luther King fighting for civil rights in the mid 1900s and Muhammad Yumus who started Grameen Bank in the microfinance sector in the 1970s all illustrate the role of a series of flashes of insight in the formation of their winning strategies. Another important point to note from all these examples is that often the champion did not start out with the end goal in mind, but rather, each followed a series of actions that worked at the time in order to formulate their overall winning strategy. In strategic intuition, what works is where strategy starts, from what worked in examples from history to what will work in this unique situation today. A resistance to change will only hinder your strategic formulation. Presence of mind often demands that we admit that our current path is not working and open ourselves up to other possibilities that can work. In order to discover a great strategic idea, you will need to follow what works every step of the way. Alice Paul, Martin Luther King and Muhammad Yunus did not start out with a theory of change and then measure how it worked. They combined what worked to come up with their theory of change to begin with. Shouldn’t your organisation move to doing things this way around too? Sources? (draft) 1 2 3 4 Etc. You start on the first line where you state your understanding of the situation or problem or goal. The matrix says draft because your understanding might change as you proceed. Next list what you think the elements of the solution are – what you have to do well to solve the problem. Then you ask the most important question of all: has anyone ever made any progress in solving any pieces of this puzzle. You then list these sources across 1,2 and so on. Now the hunt begins. You look in the sources for elements that work and fill in the matrix as you find them. You don’t try to fill the whole matrix, but stop when a combination strikes you as promising enough to try. It is possible to come up empty-handed and that is ok, and at some point you might decide to stop searching and move on to a different problem, because as we have already discovered flashes of insight don’t usually keep office hours. Organisations that do not realise that innovation comes through creative combination by bringing past elements together in a new and useful way often believe that creativity comes from within and develop many methods to help develop the creativity of individuals, groups and the organisations general work environment. Perhaps one of the most popular group techniques for stimulating creative ideas is brainstorming. These brainstorming sessions are often scheduled before hand to brainstorm ideas on how to solve a particular problem and people are supposed to have creative ideas at that specific time. However, creative ideas do not normally arrive at scheduled work hours, but often strike you at night or in the shower or while you are in traffic. Intelligent memory works 24 hours a day, even when you sleep, so you cannot schedule when you will have a good idea. Brainstorming is a good technique for generating a wide range of options – but not necessarily good ones, and not all options that should be compared on an equal footing. Reverse brainstorming is a better way to come up with truly creative ideas. Schedule a weekly meeting where people can bring ideas that struck them at any time over the previous week on any topic at all. Instead of evaluating the new idea right then and there, the group gets the idea-bringer to explain the idea as best as they can, including the elements that they combined in order to come up with the idea. Then everyone goes off to mull it over. The discussion continues informally in person or via telephone or e-mail. Eventually a promising idea might emerge from the pack. At this point you work on the what-works matrix to see how it would work. If nothing emerges, that’s fine, and another week goes by till the next reverse brainstorming meeting comes around. Another helpful technique is to look at each new situation or problem with a free mind. Instead of seeing what you think you see and already drawing conclusions about the actions that should be taken, rather look at the situation in a fresh light and see only what is there so that you open your mind to any possible combination of solutions available. Most of the world today is chasing after the American Dream and believes that you can achieve anything you want if you believe in yourself, set goals, and work hard. While having a positive self image, setting goals and working hard are all excellent disciplines and life skills that will help you to go far in life, believing that you can do anything implies that your success is all up to you and ignores all outside forces. When things go well you only have yourself to thank, and when things fail you only have yourself to blame. But in reality progress comes through opportunity, and when someone sees it, seizes it and turns it into reality their dreams can come true. In conclusion, strategic intuition is a science that can be applied in a wide range of fields to come up with great ideas and strategies grounded in past experiences but suited to your situations’ unique future. Strategic intuition leads to unforeseen bends in the road where you need to expect the unexpected, and go where success takes you. Most great achievers of the past did not start out with a theory of change and then measure how it worked, but rather combined examples from the past to see what worked and wrote theories about it later. Isn’t it time your organisation adopted strategic intuition as its key strategy formulation process and came up with the next great human achievement? This entry was posted on February 4, 2010, 6:28 am and is filed under Strategy. You can follow any responses to this entry through RSS 2.0. You can leave a response, or trackback from your own site. Sorry to mention that, but the Clausewitz picture actually shows a famous contemporary of Clausewitz, General von Scharnhorst. This of course does not affect the quality of the above article. Thanks for noticing Daniel, I was not aware of that. Well Spotted! I could not help but notice that the recent article at http://www.strategy-business.com/article/10405?pg=all appears to be almost identical to this one? You are correct Daniel, I gave my precies to William Duggan to use.